To be recognized as a unique thematic tourism trail that realizes the Wilderness Road: Virginia’s Heritage Migration Route’s historic significance and full tourism potential. The Wilderness Road Committee was established in 2005 to develop and implement a new tourism product in rural western Virginia to increase tourism visitation and spending from Winchester to Cumberland Gap. Tourism professionals from Convention and Visitor’s Bureaus, Tourism Offices and Chambers of Commerce have partnered with Virginia Tourism Corporation and the Tourism Development Department to expand this new tourism initiative. A committee representing each locality was formed to develop, research, and establish a list of sites, which have natural, historical, and cultural significance to the early settlement, migration, and history of the Wilderness Road. 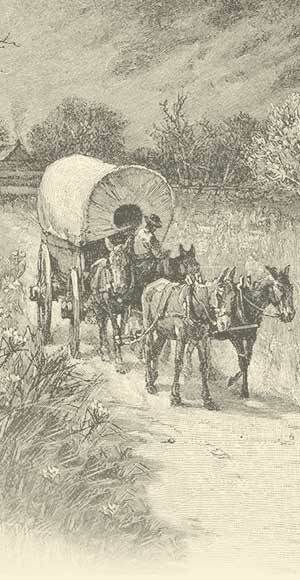 The research revealed a route filled with the culture of the early pioneers who explored and settled from Winchester to the Cumberland Gap and on to the Wilderness from 1700–1850.